Walter Winkler is a Seattle street kid who can Google Minds. Not that he can help it, who wants to know what people are really thinking? His shelter shrink dismisses Mind Googling as mere schizophrenia and worse, intends to ‘cure him” if he keeps having “delusions” of getting sucked into other people’s heads. Nicknamed 'Pinball,' Walter has a gift for seeing inside games, too. He beats every video game he plays. He does not play by the rules. He plays with the code. Anyway, he hates monsters. He sees plenty of real ones every day at Seattle’s Mary Magdalene Shelter for Homeless Youth, the inner demons haunting the crazy kids, the predators and pimps circling the shelter like sharks around a life raft. He wonders why they need to create the new ones in video games? Don’t they see every time you create a monster, you create a victim? 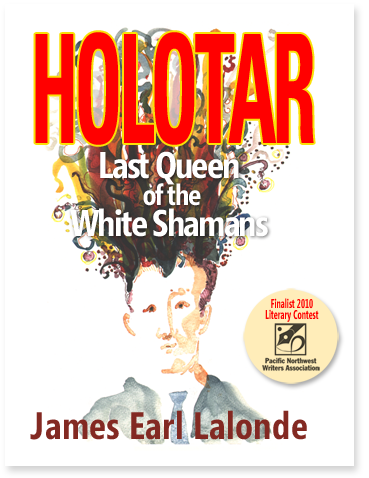 Walter is lured into testing Holotar: Last Queen of the White Shamans, a new kind of holographic fantasy game designed by a mad Russian. The ‘Last Queen’ character in the game reveals to Walter that there is indeed a real Last Queen, but it is her child being held captive somewhere in Siberia by monstrous ‘Blood Eating Shadows.’ Walter is beguiled into promising to rescue her child. He also discovers that the game has been hacked by a very real monster, an ancient psychopath unleashed into the new world of games and social networks, who is preying on young gamers. Walter sets out on a journey from Seattle to Siberia and back to fulfill his promise to the Queen and to help the gamers find their monster before it finds him. The odyssey propels him Googling through the minds of a cast of eccentric characters, including Paolo, a Brazilian game executive with a past; Leggs, a rehabbed homeless teen prostitute; and unfortunately, a twisted monster named Gvlek. Sometimes, once they get in your head, monsters just won’t die.